This Phineas and Ferb backpack has one large compartment, one front pocket and 2 side mesh pockets to hold school supplies and keep belongings organized. For added comfort, it includes curved padded straps and a padded backing. 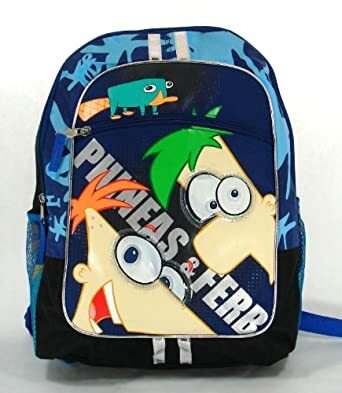 Phineas and Ferb Large BackpackBuy It!